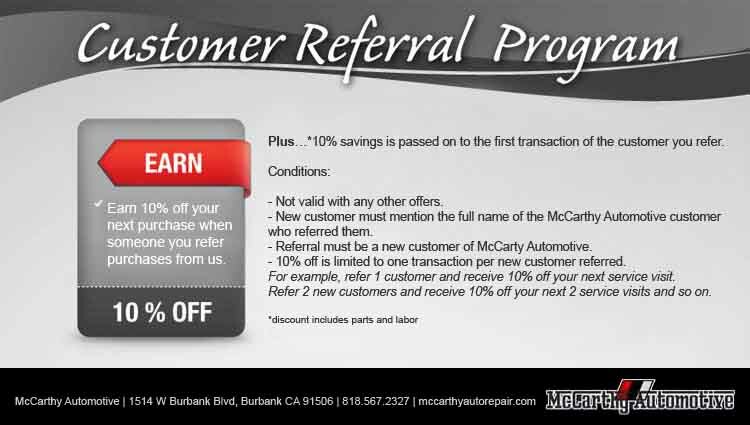 Refer a customer to McCarthy Automotive and receive 10% off. 10% savings is also passed on to the first transaction of the customer you refer. • 10% off is limited to one transaction per new customer referred. For example, refer 1 customer and receive 10% off your next service visit. Refer 2 new customers and receive 10% off your next 2 service visits and so on.